Home What Is? What is a Video Card? 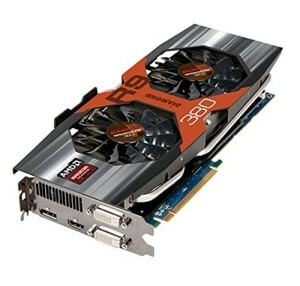 If you’re planning on using graphics, then you’re going to need a video card, also known as a ‘graphics card’. For most computational tasks, you’ll find that having graphics is very useful: things are a lot more difficult when you don’t have a monitor! Note that we’re not talking about game graphics here but rather all graphics. Graphics means everything from Tomb Raider to a white pixel in the middle of the screen – and you need video cards for all them. This is different from a GPU or Graphics Processing Unit. GPUs are for more graphically intensive tasks like gaming (and also video editing) and work like a regular CPU but with a preference for graphics-type tasks. It’s important not to get these mixed up: a GPU is optional, a graphics card is not! So What Does a Video Card Do? So now you know what a video card isn’t, what is it? And more precisely: what does it do? Essentially, a video card is a card that connects to your motherboard and converts the data into a format that’s suitable for video output. So when your computer has finished performing the complex math necessary to know where a window is going to move, it sends some of that data to the video card for it to be rendered. Video cards are more interesting and useful than just a piece of card though. They actually work like mini computers all of their own and thus have their own processing unit (this is where the GPU comes in), memory, cooling mechanism and connections. But I Don’t Have a Graphics Card? Yes you do! Even if you’ve never seen your graphics card or heard it mentioned, it is in there. In this case it is integrated into either the motherboard or the CPU itself. In this case it is called an ‘integrated’ graphics card and it will handle just the basic elements. This is why you don’t need a GPU necessarily – because in these scenarios a section of the CPU will do the relevant math. But when performance is what you’re after, then you need a dedicated graphics card with all the toppings. Now you want to get a GPU with the highest GHz possible and you’ll know it’s a serious piece of hardware if it has its own heat sink or fan. This then connects to the motherboard via your accelerated graphics port (AGP) or your peripheral component interconnect express connection (PCIe). This also makes for very convenient expansion and upgrading for your graphical horsepower. As well as GHz and cooling, your card can also vary in terms of its RAM, which in this case is called ‘VRAM’ or ‘Video RAM’. A graphics card is really going to be the biggest determining factor in whether your computer can play the latest games and will also help you do things like using CAD software (computer aided design) or edit video files. Not everyone is going to have much need for this, so it’s up to you to decide if you need something powerful or not. If you do want some real power for your graphics performance but are confused by all the different options, then a good strategy is to look for benchmarks. Benchmarks rate different cards based on their speed and performance in certain tasks and if you look at the latest benchmarks published online, then you can get a direct comparison of how different cards perform and choose the best and most powerful. As with all these things though, you also need to ensure that your motherboard supports the card you want and that you have the CPU, cooling etc. to back up your performance.